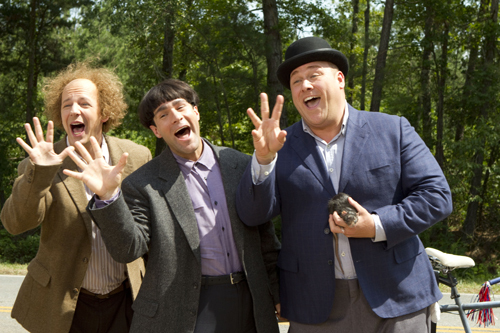 The Three Stooges are returning to the big screen in a new action-comedy feature film. 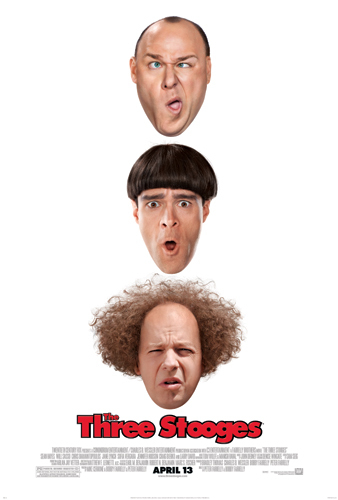 Sean Hayes (Larry), Chris Diamantopoulos (Moe) and Will Sasso (Curly), will reprise their roles as The Three Stooges. The announcement was reported by Variety, The Hollywood Reporter and Deadline.com. Follow the movie on Facebook and Twitter for the latest production news, features, videos, interviews and more. 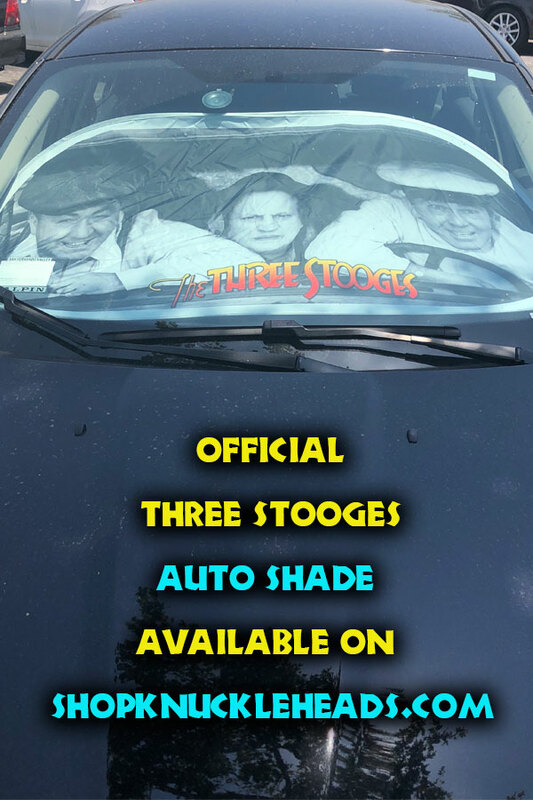 The Three Stooges are back, and going strong as ever! 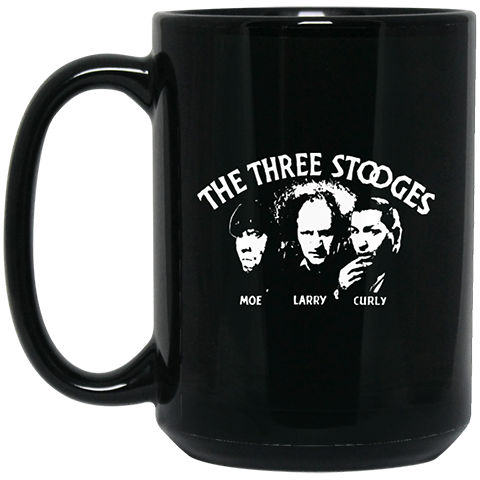 Twentieth Century Fox Studios and C3 Entertainment released the all new Three Stooges Movie as one of the biggest hit comedies of 2012. 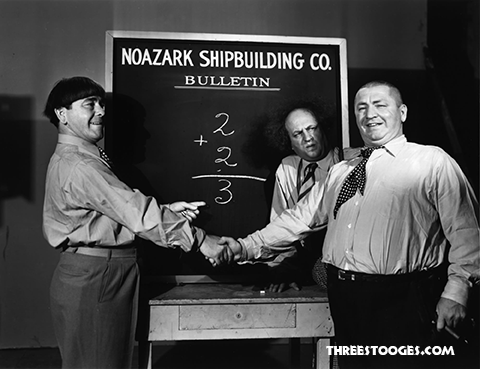 Larry, Moe and Curly made a triumphant return to the big screen with The Three Stooges madcap slapstick action from the greatest comedy trio of all time. 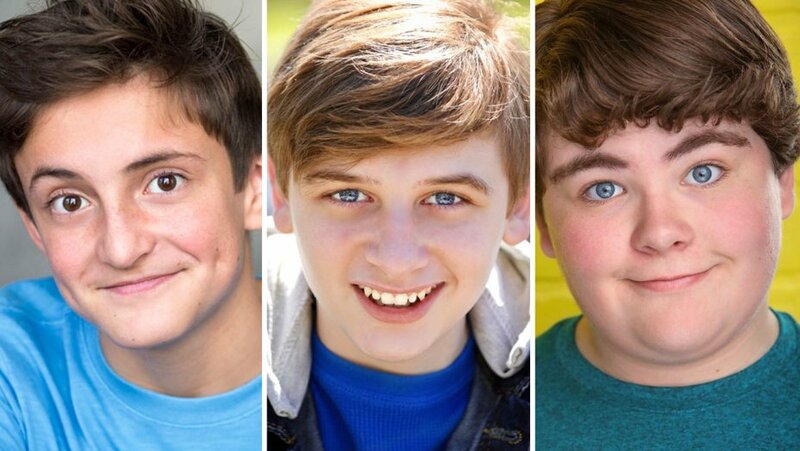 Will Sasso, Sean Hayes, and Chris Diamantopoulos star as The Three Stooges with Peter and Bobby Farrelly directing from their all new screenplay written with Mike Cerrone. The star-studded cast also includes Larry David, Sofia Vergara, Jane Lynch, Jennifer Hudson, Stephen Collins, Craig Bierko, Kirby Heyborne, Kate Upton, and Carly Craig. 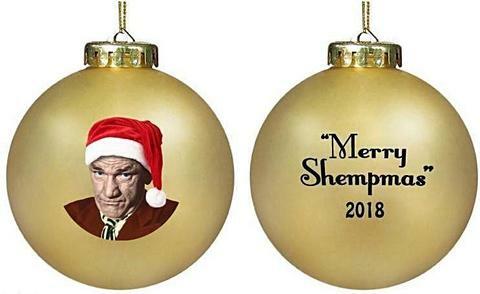 The worldwide release of the new Three Stooges Movie has reignited the everlasting popularity of one of greatest celebrity brands all over the world. View the movie trailer and for more information, photos and fun stuff on the new movie, visit movie.threestooges.com and visit us on Facebook.